For your business to grow, every effort and decision should be a step towards achieving your goals—do not leave your success to fate and luck. Set aside time to regularly check your operations; improve what you are doing right and change any outmoded practices. If you are having difficulty tracking your cash flow when it is not a problem before, act fast—switch to an automated accounting system. Manual accounting has been the standard system since time immemorial. But it is tedious, prone to error, and is limited to pen and paper that requires the expertise of a hired accounting professional. Moreover, in the hectic world of managing business, success now requires a system that generates results with minimal errors—opt for accurate, fast, and automated accounting system. Most automated accounting system in the Philippines provide general ledger templates that calculate automatically once inputs are inserted. Data is also secured in a database—cloud or on-premise—which enables you to access information even from previous years. Automated accounting system makes computations, reports, and other functions a few clicks away. To help you decide what automated accounting system in the Philippines is the best fit for your needs, listed below are the available editions from two of the most recognized automated accounting system in the market—QuickBooks and Sage 50. Checkout the new features highlighted in their latest releases. Outfit your business with reliable accounting software and prepare to overcome 2019 successfully! Pro covers all functions that a start-up business requires; from tracking time, revenue, expenses, accounts receivables, accounts payables, and securing stable bank connections & reconciliations. It also provides insights from up to 100 different reports. The only drawback is that it has the maximum license of 3 users program and it depends if it is a US or International version. QuickBooks Premier contains the same features within Pro but are further developed to improve its performance. Additionally, it offers industry-specific tools that best suit non-profit, manufacturing & wholesale, professional services, contractor, and retail industries; tools include Chart of Accounts and customized List of Products & Services. Enterprise has greater capacity, six times bigger than Pro and Premium, designed for growing businesses with larger customers and vendors that track far more sales and expenses. It has improved sales order management, accumulated reports from multiple company files, and the ability to simultaneously work on two files. The software is available from 10 up to 30 licensed users (it depends on the version). QuickBooks Online is the cloud-based counterpart of QuickBooks Desktop (Pro, Premium, and Enterprise) hence the features in the latter also exist in QuickBooks Online. However, the data is 100% stored in cloud and the update is faster due to monthly scheduled improvements than to yearly update of QuickBooks Desktop. You can now acquire information on a single prompt window, transfer to a new computer without operation gap, monitor your backup, accomplish tasks in a few clicks, and enjoy more tools—all within QuickBooks 2019! Manually copying your files and reinstalling QuickBooks is outdated. The latest release lets you quickly transfer files from your old computer to the new one; you only need a flash drive and internet connection. Through a few clicks on the menu, your files and software shrink into one saved file—“Move_QuickBooks.bat”—in the flash drive. Next, run the file on your new computer to start restoring all your documents and to automatically download the latest version of the QuickBooks edition you already owned. Be set to continue business afterwards. Note: To access this tool, you have to be logged as Admin user of any QuickBooks product and be on single user mode. Never pay twice for the same transaction again. 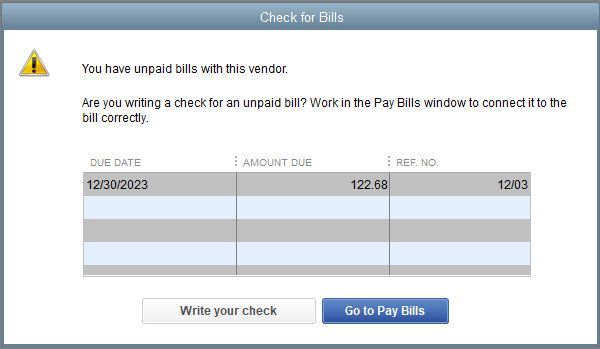 The improved Bill Payment tool automatically checks if you have an unpaid bill to a vendor. Take note that it will not reflect on the accounts payables report if you write the bills directly, leaving the bill unsettled. Therefore, to ensure that you will be paying for the cited unpaid bill and not a different transaction, a warning screen will appear reminding you to go to “Pay Bills”. Previous versions of the software will require you to create pair journals to move credit under one job to another. Now, QuickBooks 2019 completes this in 1-click. Simply select the invoice you want the credit to be applied to then open “Receive Payments”. Click Discount and Credits option above that will warn you whenever you transfer credit from one job to another; just click yes and QuickBooks will automatically create necessary journals to move the credit. QuickBooks now has the shortcut—“See History”—to show you the status of your saved invoices in one place. Instead of clicking around different places within the software, a single pop-up window shows you the four-step history with labels: sent, viewed, paid, and deposited. Additional details are provided for each step accomplished; such as when is the invoice is created, sent, viewed by the client, paid amount, and when the payment is deposited in your account. Note: Do make sure that you send your invoices within QuickBooks and not through outside email program for this feature to function. Older releases struggle on tracking sick and vacation time allocation resulting to overpaid benefits. 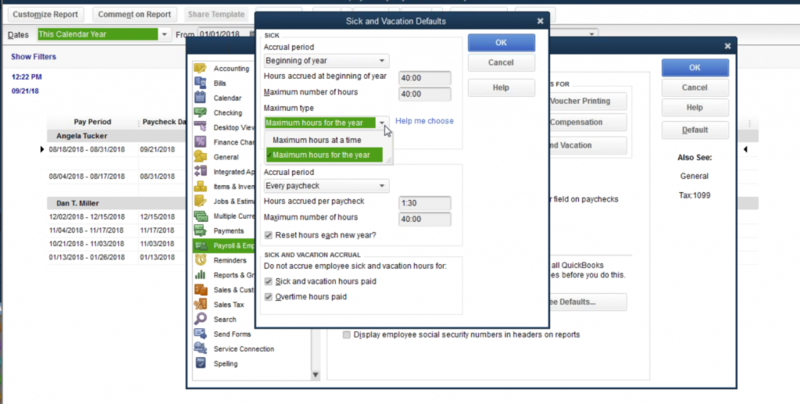 With the 2019 release, you can now allot specific time for each employee’s benefits that will automatically stop accruing if the limit is reached. The update is also transparent on how much is used, accrued, and still available, for the employees to monitor. Note: Only available with an active Payroll Subscription. Here is the new way to reduce your file size without deleting data. 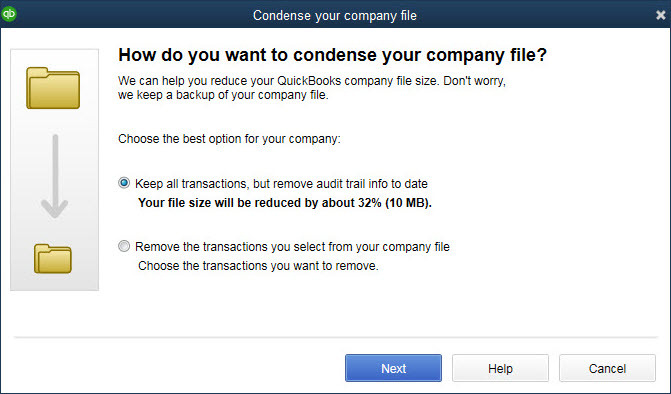 On the Condense Data window, a tool shrinks your company file by removing the Audit Trail—the record of every changes done to your transactions. Before you execute, a prompt will show you the reduced file size and once you proceed, the tool will also save an archived copy. 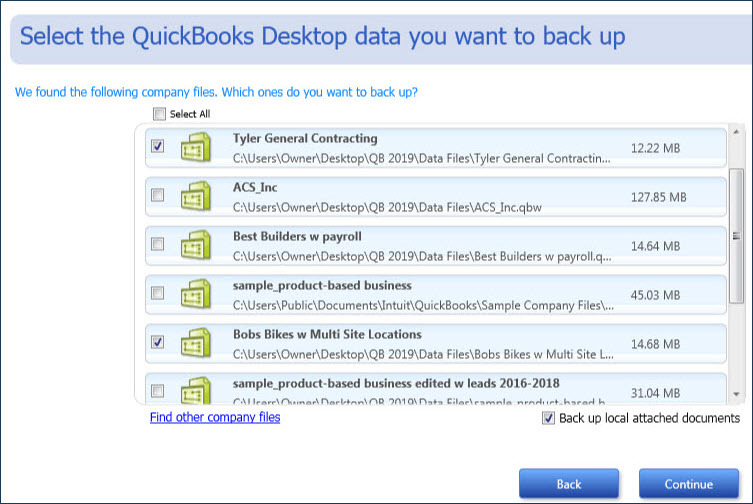 Given that data protection is imperative to any business, QuickBooks 2019 now informs you every step of your backup process. You will get confirmations while the backup is on process, receive emails if something fails, and get notifications if you are neglecting your backup schedule. QuickBooks 2019 lets you mark certain inventory items as inactive—making your Inventory Valuation Summary more accurate as it now highlights all the items you still own but have been out of circulation as separate value from your inventory to be sold. 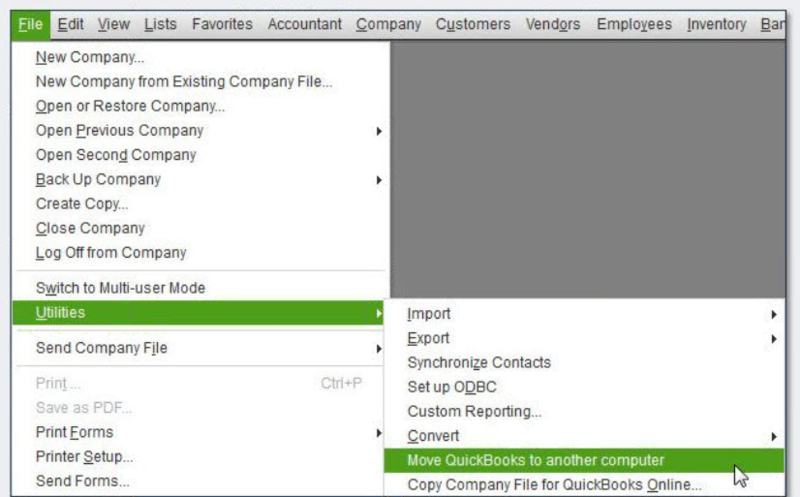 On another hand, QuickBooks Enterprise has two other features in addition to the updates listed above. Now, with QuickBooks Enterprise, Admin user can limit the access of other users within the software. This is to ensure tight security over sensitive data such as pay rates and social security numbers. For the 2019 update, Pick workflow is now integrated with Pack and Ship workflow. This does not only create pick list that warehouse workers can use to track and send feedback to you, they can now also pack the products themselves and send you packaging dimension details for shipping documents preparation. Sage 50 Pro Accounting contains reliable features appropriate for start-up businesses or those switching from manual accounting. It is a single user program centered on managing your invoices, bill payments, receipts, budget, and monitoring your cash flow. In addition to possessing the same features within Pro Accounting, Sage 50 Premium Accounting accommodates your business growth by simplifying finding information about your customers, vendors, and inventories. It is a multiple user program of up to 5 licensed users. Sage 50 Quantum Accounting has a maximum of 40 users’ licenses. It contains all the features of Sage 50 Premium Accounting and is equipped to optimize high volume of transactions with improved inventory functionalities. Sage 50cloud has the combined capabilities of a desktop solution with secure online access and Microsoft Office 365 support. Whether you pay online, over the phone or in person—Sage 50cloud got you covered, anytime, anywhere. What’s new in Sage 50 2019? Sage 50 2019 update is based on their customers’ surveyed needs—a combination of tools enhancement and technical support improvement. Read the list below to gain a clearer image of Sage 50 developments. Sage 50 2019 deployed .NET Framework 4.7.1 as investment to improve their performance and reliability. Furthermore, it complies with the latest Transport Layer Security (TLS) protocol providing you a better communication security. Controlling data access with many users is challenging—but Sage 50’s latest security setting improves your data protection and stops unauthorized users from illegal activities. Now, standard users will need Administer-level authentication to execute specific tasks that require Administrator-level permission. Sage 50 CRM is now incorporated inside Sage 50 Accounting 2019. CRM is the system that streamlines sales processes such as creating quotes & orders, projecting sales, producing leads, and managing customer relationship for a productive sales cycle. This update provides any customer-facing personnel with updated financial information and the apparatus to create order in Sage 50 CRM while within Sage 50 accounting without data duplication. The Sales Order Dropdown menu design is expanded to accommodate the Invoice Number field width; while Quotes and Purchases List immediately computes the amount you input. Sage 50 2019 is now online payment ready. 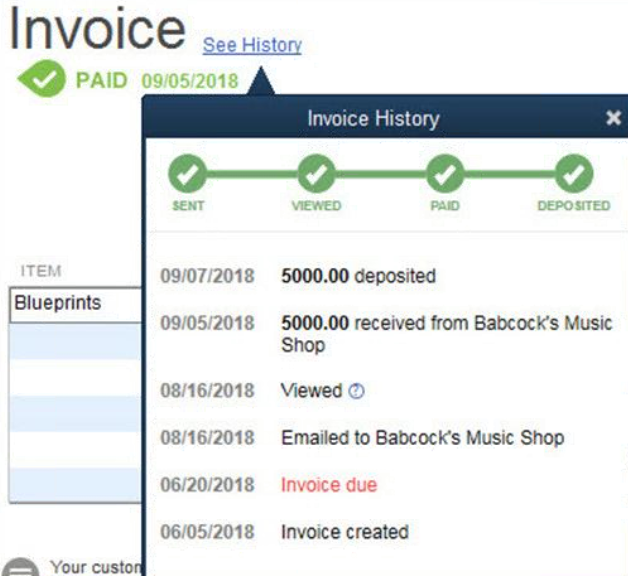 It partnered with PayPal to bring you the Invoice Payment tool—letting you send invoice to customers through email and include a Pay Now button where they can pay online through debit or credit card; payments are deposited to your bank account afterwards. As the volume of your transaction increases, the effort of managing your accounts also doubles. You are in need of an accounting system that lets you move fast and accurate without demanding your attention 24/7. QuickBooks and Sage 50 are two of the various accounting software in the Philippines that remove the limitations of manual accounting by delivering quick and cost-effective performance. Deploy your chosen automated accounting system and be in control of your business this 2019!